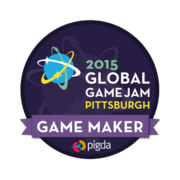 Global Game Jam is an annual event where game developers all around the world can build games together in two days. I attended GGJ in 2015 and 2018. Here is the link to the games we made: 2015 FlashBack and 2018 Critical Angle. Implement different numerical integration method to simulate a mass spring system, including Forward Euler, Sympletic Euler and Backward Euler. The video shows the simulation results for different methods and spring property settings. Implemented particle based fluid simulation algorithm according to paper Particle Based Fluid. Based on Position Based Dynamics framework (PBD), this method used positional constraints that enforce constant density to achieve similar incompressibility and convergence to modern smoothed particle hydrodynamic (SPH) solvers. The result allows large time steps suitable for real-time applications. Implemented real-time height field fluid simulation algorithm according to a talk given by Matthias Müller-Fischer and a thesis from Bálint Miklós. The method simulate water surface behavior quite nicely, and also have good ability adapting different terrain. By adding the upper layer water in the data structure allows more interaction. The result are rendered with placeholder shading, and a better shaded version will be updated soon. This a internally used tool for Amazon Web Service team. There is an existing version of that tool. My job is to design a framwork that can turn this tool into a scalable version, so working instances can by dynamically added or removed depends on the load. I implemented this system in Ruby/JRuby, using Dynamo Database (NoSQL db), S3 bucket, and RDS. And finally visualize relevant information on a website using Ruby on Rails. Version control is managed with Git. I had never done ruby before when I started this job, but I am able to pick up in short time and finish the project, and get a return offer. I learned a lot in Amazon and had a good time, so I am going back this summer! 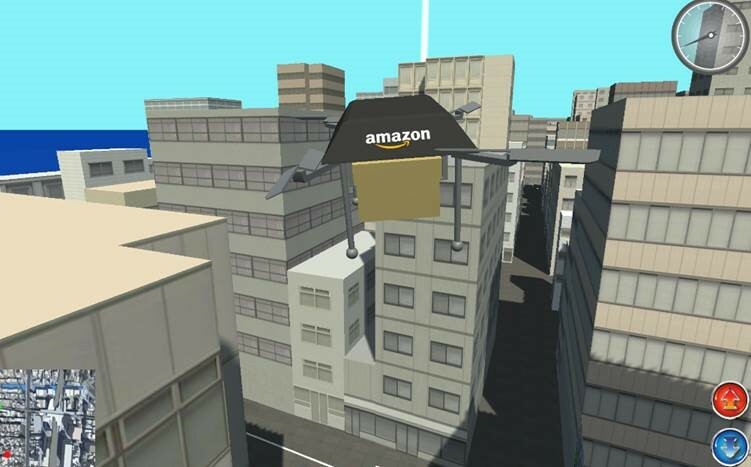 Use your tablet to experience how drone flies through the city and ship package for Amazon! Tilt the tablet to control, check the map for direction and fly to where your customer (the green dot) is! I modeled and animated drone (quadcopter), programmed the mini-map UI, and package dropping mechanic. Drone won First Prize in Amazon Intern Hackathon 2015! >>> Click to download virus-free apk and try it now. The Drop is an experimental game combining elements of rhythm games with first person shooters. The game is a duel between two players, each armed with a piece of music, who battle each other over control of the sound system very much like a musical tug-of-war. I wrote some customized shaders, scripted game object interactive behavior in C#, scripted object animation in Python in Maya, modeled/rigged/animated character, optimized game by baking global illumination light map...etc. Implementing subdivision method. Optimize to speed up and wrote simple shader. The last 4 pictures shows ray tracing result with recursion level around 5. Ray tracing. Take care of reflection/refraction and soften shadow. Physic Simulation. Implement famous numerical integration method RK4 to show gravity, spring system correctly. I wrote the chrome extension, and also implemented the server that handle the packet from smart phone (Server runs on a Linux machine). In the final project of Digital Lab class. We decided to make a simple game in Verilog, with just switches and buttons as input. Control the plane to avoid bullets, and survive as long as you can. I implemented part of the gameplay. This is an Android app we made for Yahoo! Hack Day 2014. 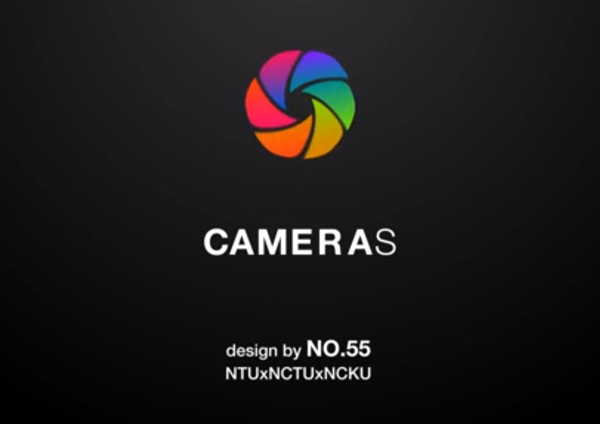 This app allows you use your phone camera smartly. For example, to take a group photo, you can connect to your friends' phone, and using the camera of his/her phone remotely with your phone as shutter release button. To take a landscape view phone, the camera will take the picture automatically when it is perfectly horizontal. I implemented the second feature in this app.